This series is my all-time favourite series ever; I just cannot get enough of the forbidden it seems. Every single book in this series has been a work of art and every single book has been an amazing 5 star read and this book is no different. What I will say though is that this book is my favourite so far. The way this story unfolded was unique to Tiffany Reisz, I must admit I was a bit worried in the beginning and I am still wondering why Nora was where she was, but once I understood how this story was being told I settled in for Nora’s bed time story. This book is told in a flashback, Nora telling Kingsley’s son, Nico, how it all began. I snuggled down and readied myself for a story that I would never forget. This book was incredibly emotional for me, I always knew that Soren’s past was intriguing and unsavoury but the more I learned about our Padre and how his relationship with Nora started and developed the more I fell in love with and respected Soren. While on the outside people only saw the 28 year old priest fall in love with the 15 year girl, Soren did nothing about it for many, many years. He nurtured Elle/Nora, he wanted her to have the opportunities to be a normal teenager, live a normal life and then when she had lived and was adult enough to make informed decisions, only then would Soren reconsider his stance with his “Little One.” He loved her unconditionally, he was her fiercest champion, he was her protector, he would die for her, he would break his vows for her, but only when the time was right and that took a long, long time. It is this extremely slow build that I felt made this love story all the more real, all the more tangible. My heart broke for these two many times. So many gaps in the Red Years are filled in; to see how Nora and Soren began was a gift and personally I felt made their relationship all the more profound. To see the rebellious teenager that Nora was, was a treat and who would have thought that ultimately this became the beginning of the Soren, Nora and Kingsley Trifecta. I loved finding out about how the name “Nora Sutherlin” came about, it is these little snippets that are interspersed throughout the book that will have you ahhhhing, like the light bulb just went on and only makes you appreciate the Red Years all the more. The humour in this book had me crying with laughter, Nora has always been a scream but it seems that she must have been born with the sassy attitude and quick wit. Never intimidated by “Blondie,” Nora always gave more than she got and it was this attitude that alerted Soren to the fact, that he may have just met his match. These two were destined to be together, no two people have ever been a better fit and while I wouldn’t want to be in Nora’s shoes at the hands of Soren, it was right for these two. They both wanted it, the both needed it, it centred them, it was just Soren and Nora and Nora and Soren. The last third of the trifecta is ever present, Kingsley, and I loved seeing the relationship that he and Soren have. The banter between these two also at times had me in stitches and you can already see how Nora was going to fit into their dynamic. 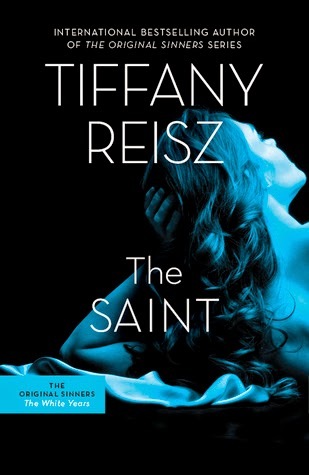 All I can say is that this is another masterpiece from Tiffany Reisz, she continues to amaze me with every book she pens. Her writing style never fails to consume me and once I start I know that I am going to be checked out for quite some time. As usual the writing is flawless, spell binding and mesmerising and I don’t think I can ever get my fill of these characters. Nora still remains my favourite heroine, from the get go she imprinted herself on my heart and this book has only cemented her place. I truly loved this one.